Imagination is a British-based, global technology R&D leader. They are most noted for their mobile graphics processors and embedded microprocessors. Scotch were appointed to provide a client-side watching brief over the contractor’s detailed design and construction. The project services included high voltage infrastructure upgrade and a significant fibre network upgrade for Imagination Technologies, a global leader in multimedia and communication technology. 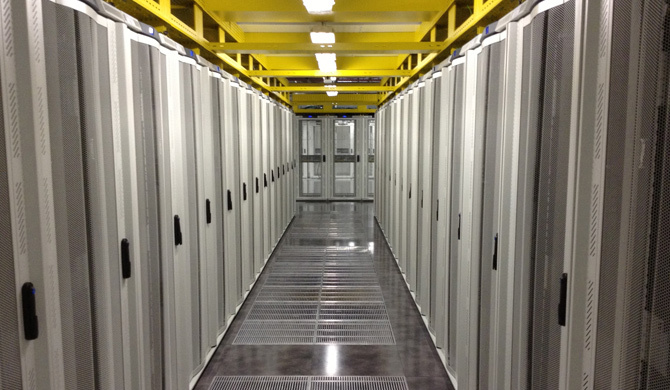 The data centre, housing up to 116 individual racks and a number of emulator test-beds, was constructed with a resilient UPS and standby generation and an associated fuel system. A bespoke ventilation system maximises free cooling by utilising fresh air to cool the data hall when conditions allow. Specialist IT equipment (emulators) required a water-based process cooling system to enable correct operation. Extensive security measures were provided to the building. 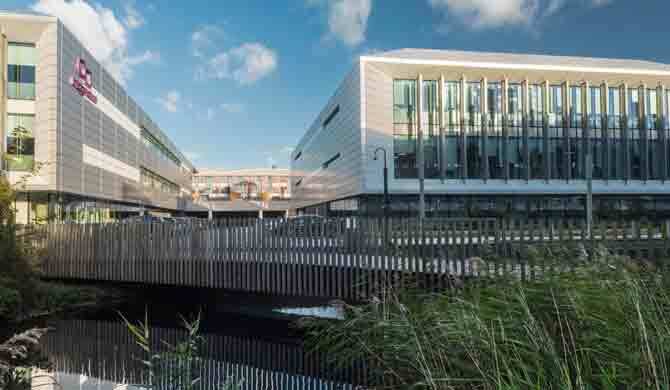 Imagination Technologies’ futuristic headquarters campus is a 21st century workplace facing the Grand Union Canal. The completed three phase masterplan has revitalised the working environment for our client. The project consisted of three different buildings constructed separately but with consistency of design, led by EPR Architects. The various phases consisted primarily of offices, meetings rooms and seminar rooms, but also included a social gathering atria, a large restaurant, electronics labs, and significant data and server rooms. Our appointment commenced at RIBA stage 1 and continued through to RIBA stage 7 and included the infrastructure upgrade for 11kV allowing extra power capacity for future demands, fibre connections and general communications between the 3 buildings. Phases 2 and 3 achieved BREEAM Excellent and we have also undertaken in-use energy survey work across all building assets to assist Imagination Technologies in meeting their obligations under ESOS (Energy Savings Opportunity Scheme).